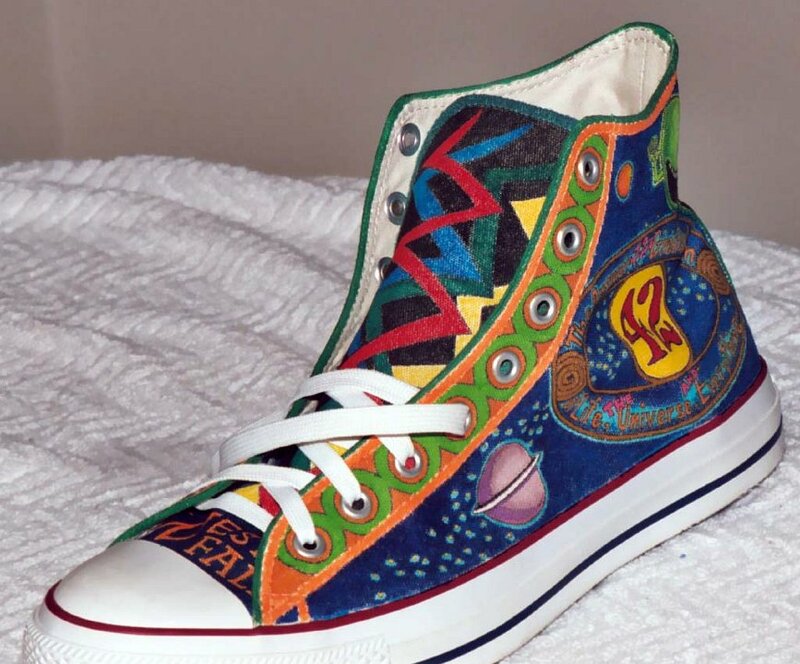 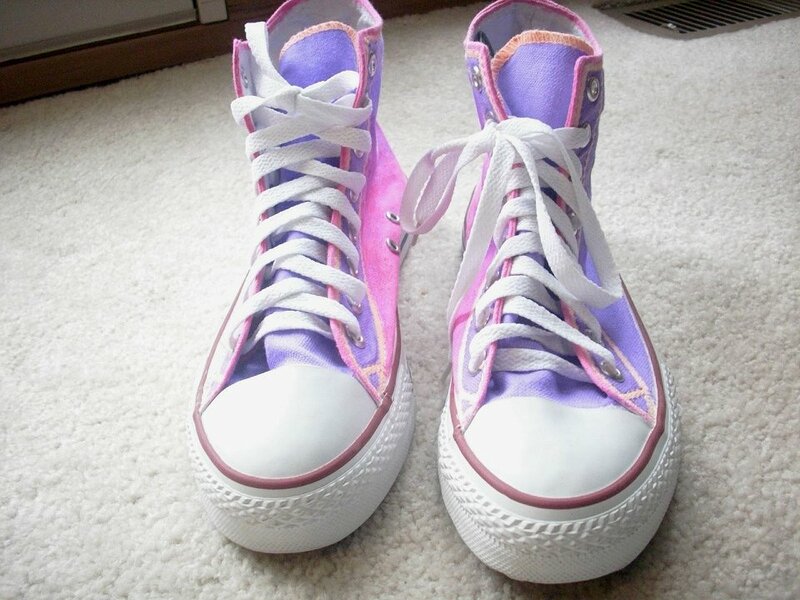 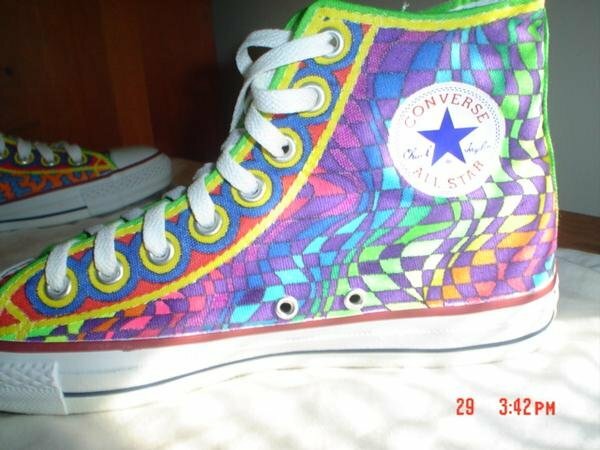 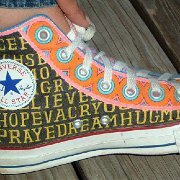 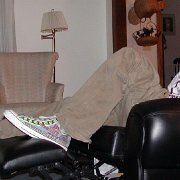 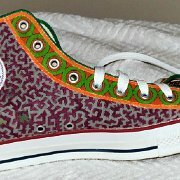 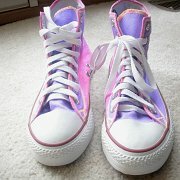 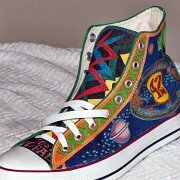 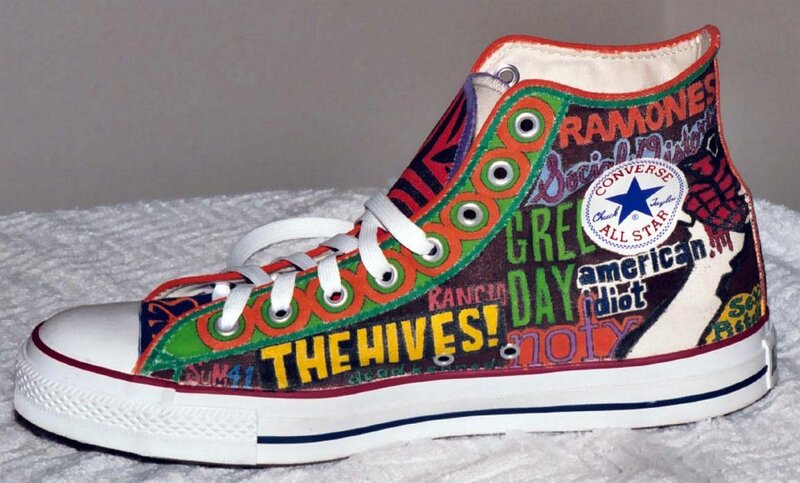 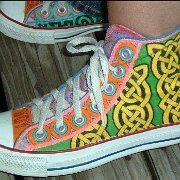 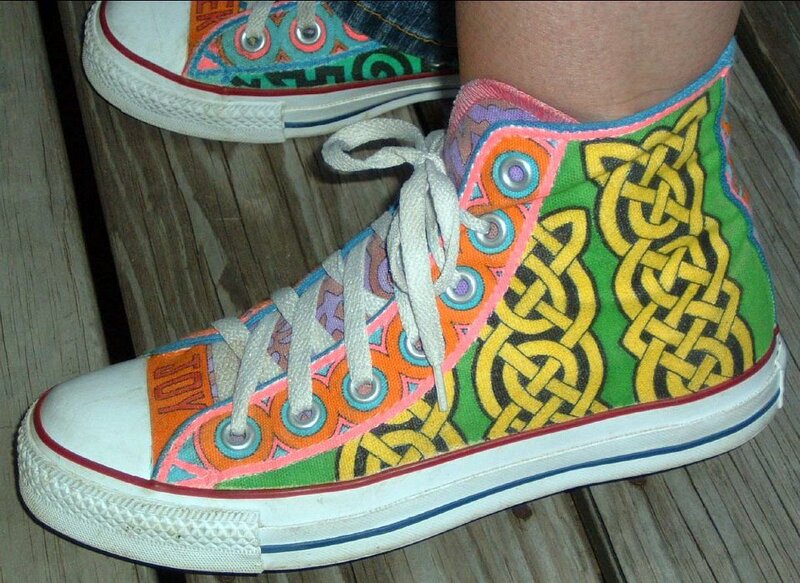 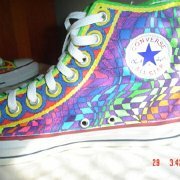 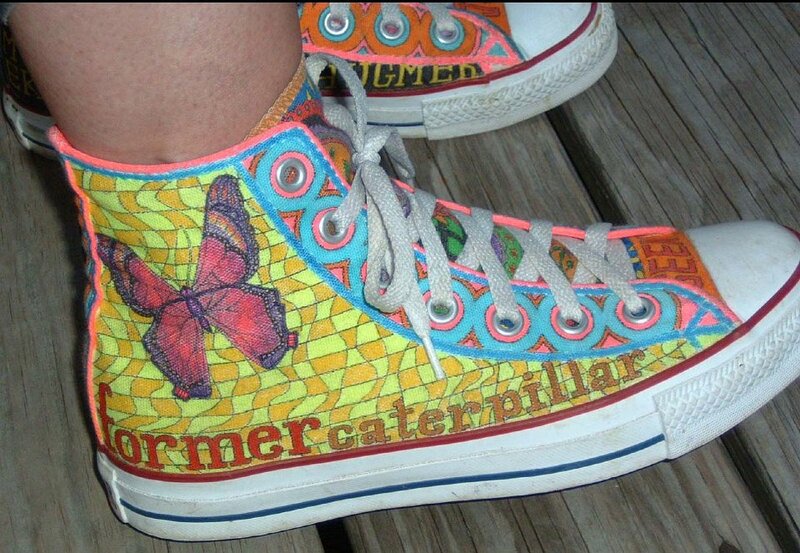 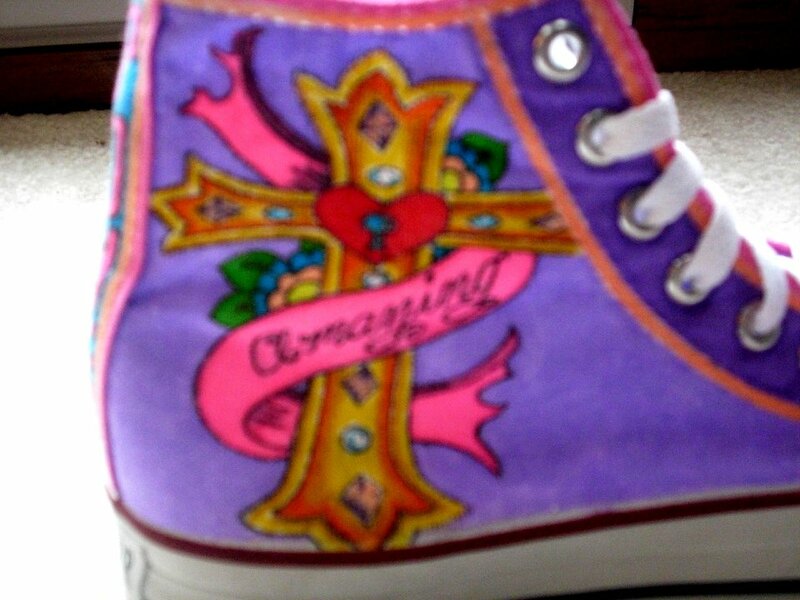 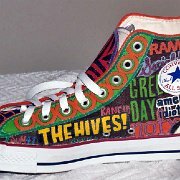 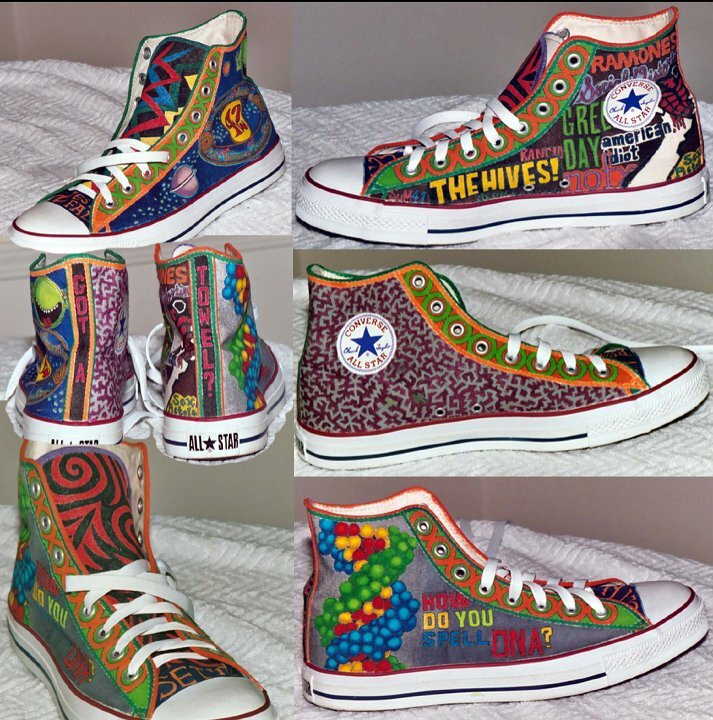 Gallery of custom painted white high top chucks created by Laurie Lyden. 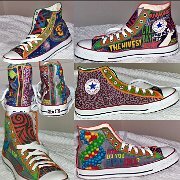 1 Custom Painted High Top Chucks Custom painted high tops, left outside and partial right inside views. 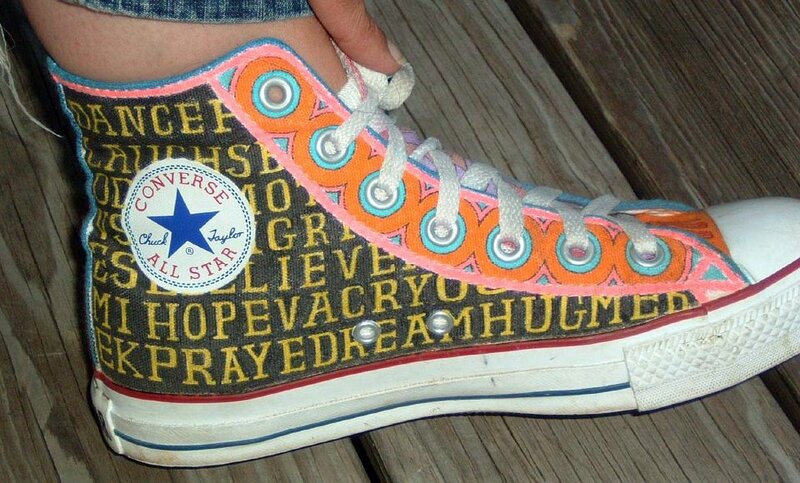 2 Custom Painted High Top Chucks Custom painted high tops with lettering, left inside patch view. 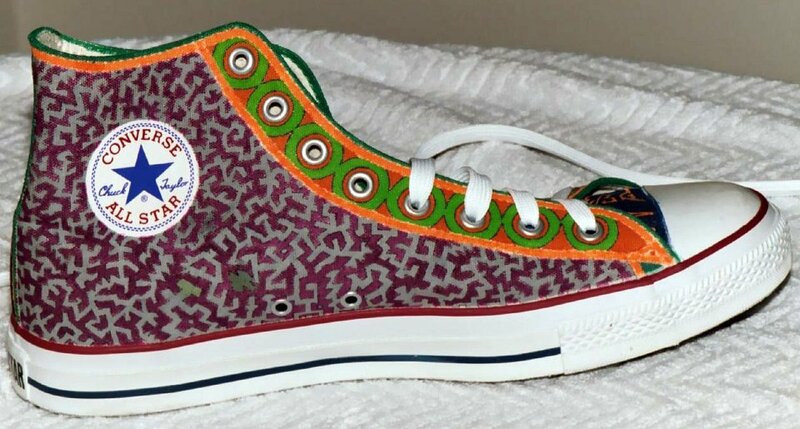 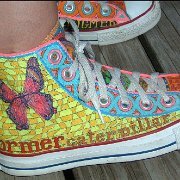 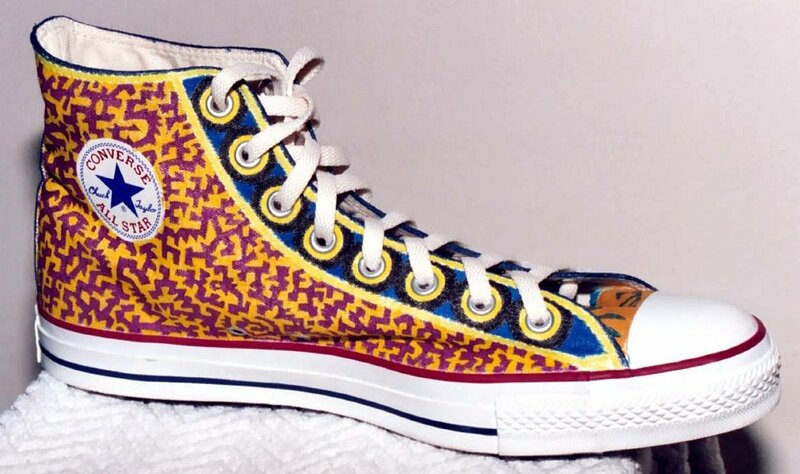 3 Custom Painted High Top Chucks Custom design featuring a butterfly and mosaic pattern, right outside and partial left inside views. 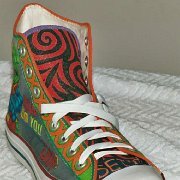 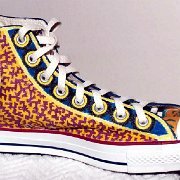 4 Custom Painted High Top Chucks Graphic pattern with gradient background, right inside patch view. 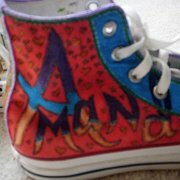 5 Custom Painted High Top Chucks Custom chucks for Amanda, outside view of the left sneaker. 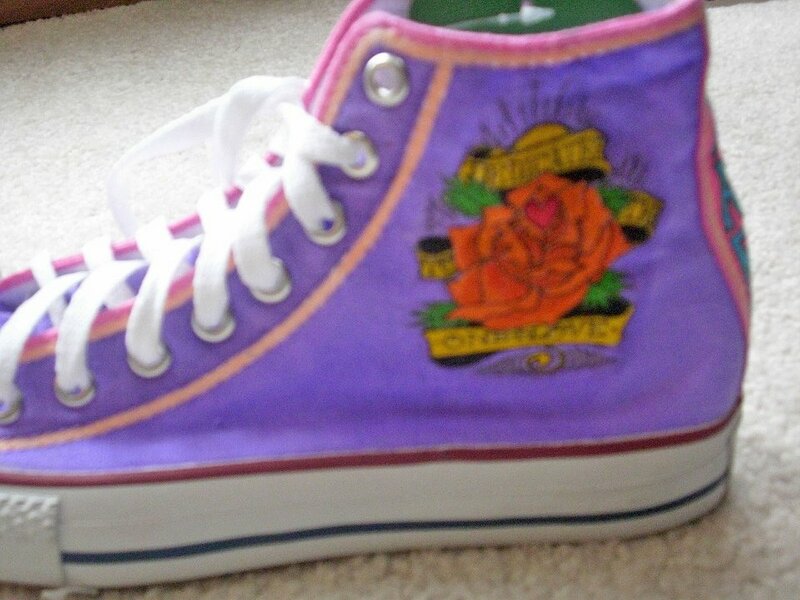 6 Custom Painted High Top Chucks Custom chucks for Amanda, inside patch view of the left sneaker. 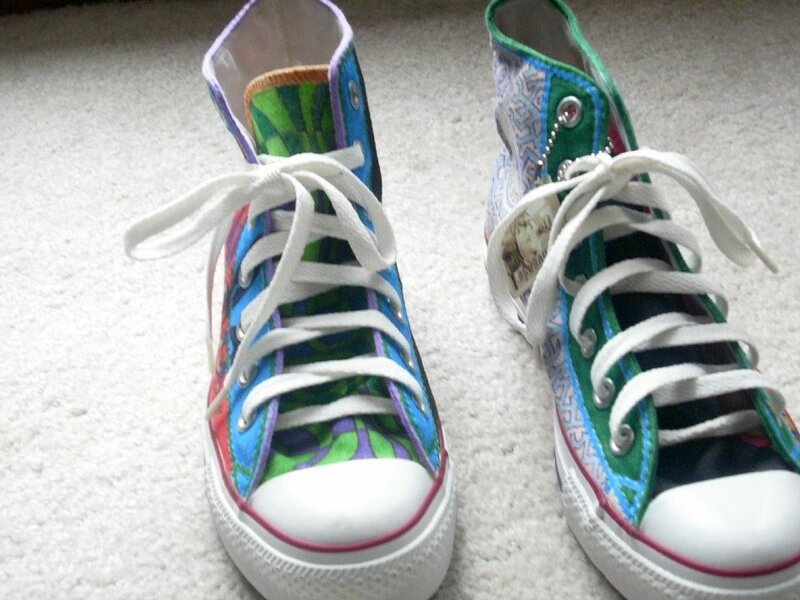 7 Custom Painted High Top Chucks Custom chucks for Amanda, outside view of the right sneaker. 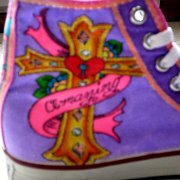 8 Custom Painted High Top Chucks Custom chucks for Amanda, rear view of the right sneaker. 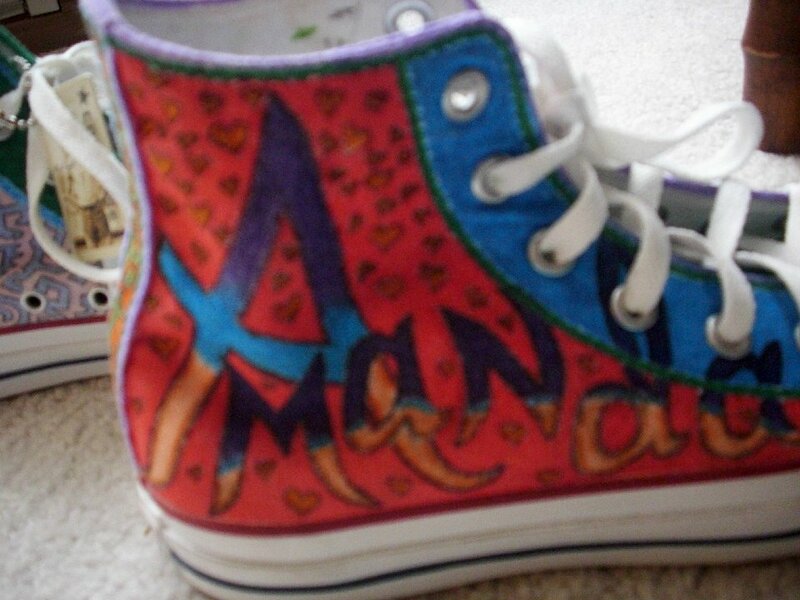 9 Custom Painted High Top Chucks Custom chucks for Amanda, rear view of the left sneaker. 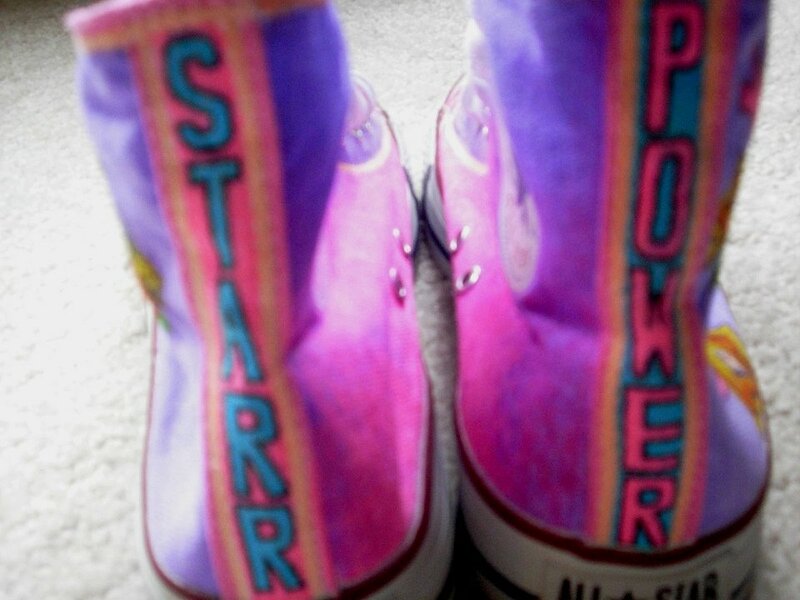 10 Custom Painted High Top Chucks Custom chucks for Amanda, rear view of both sneakers. 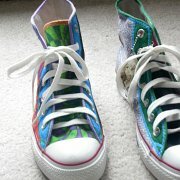 11 Custom Painted High Top Chucks Custom chucks for Amanda, left outside views. 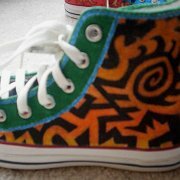 12 Custom Painted High Top Chucks Custom chucks for Amanda, right outside views. 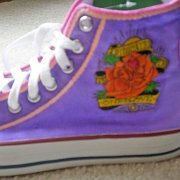 13 Custom Painted High Top Chucks Custom chucks for Amanda, front views. 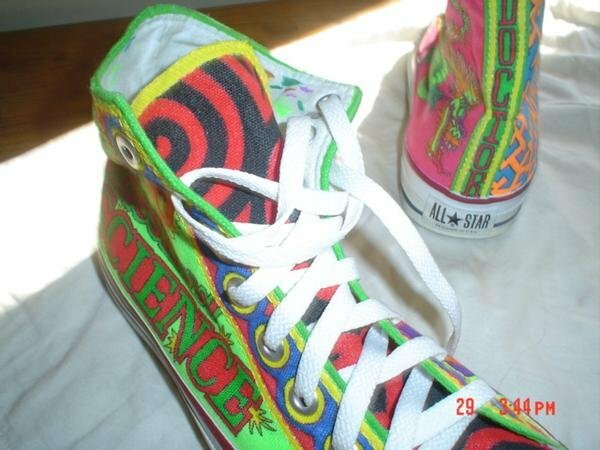 14 Custom Painted High Top Chucks Custom chucks with a Frank Zappa quote, front view of the left sneaker. 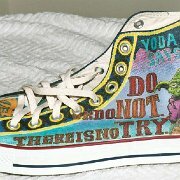 15 Custom Painted High Top Chucks Custom chucks with a Frank Zappa quote, inside patch view of the left sneaker. 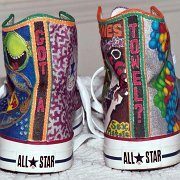 16 Custom Painted High Top Chucks Custom chucks with a Frank Zappa quote, outside view of the left sneaker. 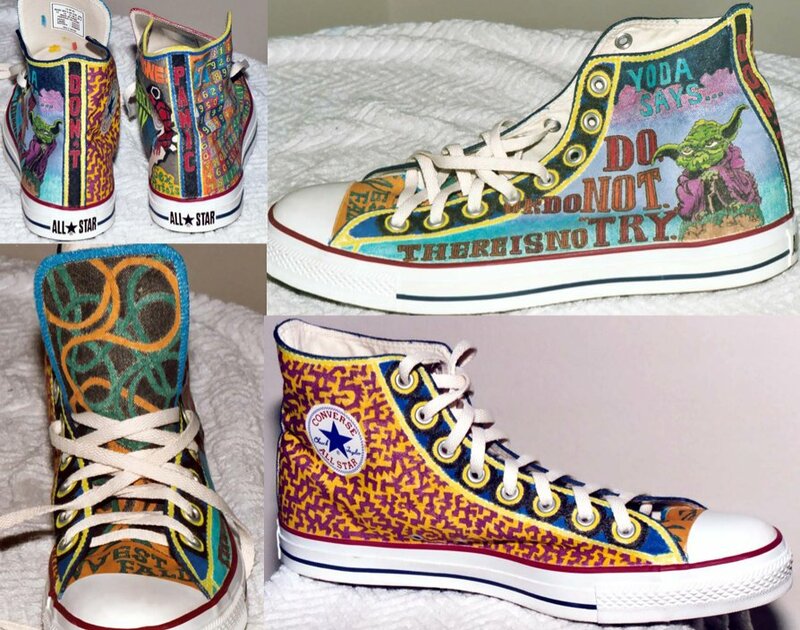 17 Custom Painted High Top Chucks Custom chucks with a Frank Zappa quote, rear views. 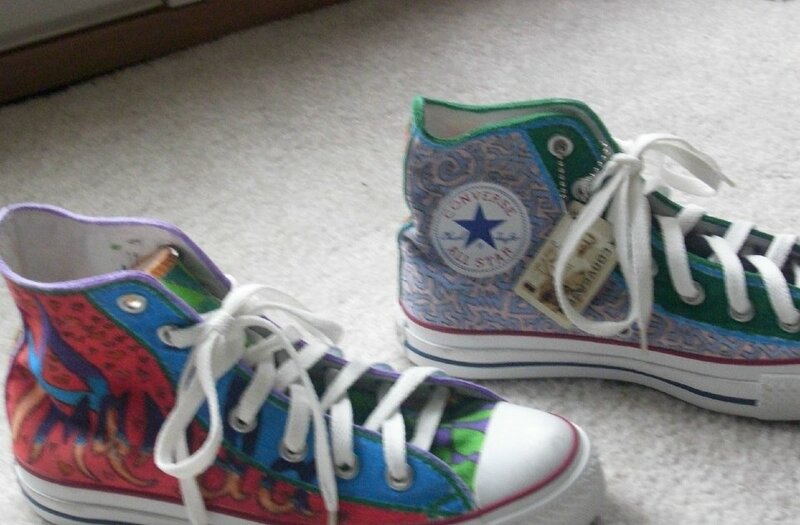 18 Custom Painted High Top Chucks Custom chucks with a Frank Zappa quote, front view of the right sneaker. 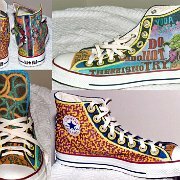 19 Custom Painted High Top Chucks Custom chucks with a Frank Zappa quote, outside view of the right sneaker. 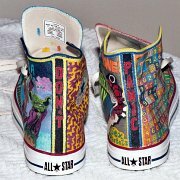 20 Custom Painted High Top Chucks Custom chucks with a Frank Zappa quote, inside patch view of the right sneaker. 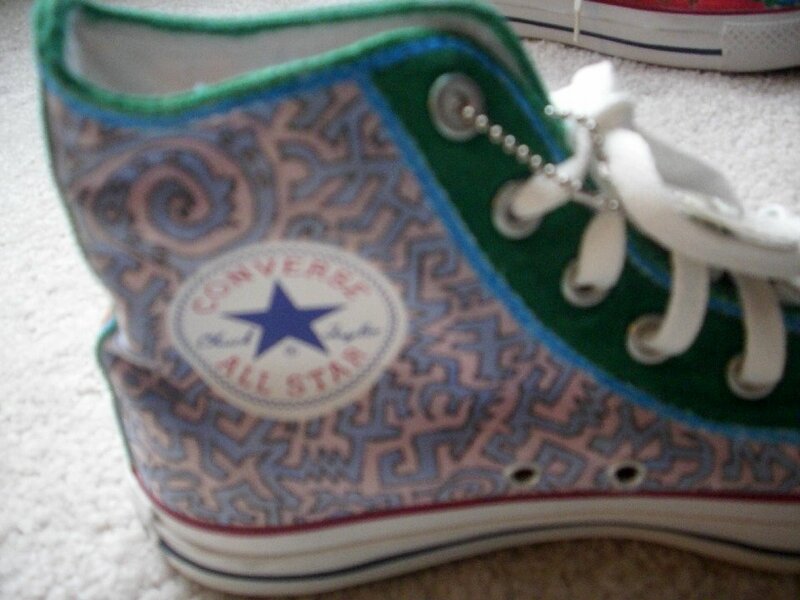 21 Custom Painted High Top Chucks Inside patch view of a graphic design on a left high top chuck. 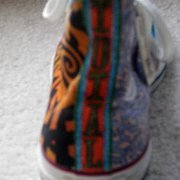 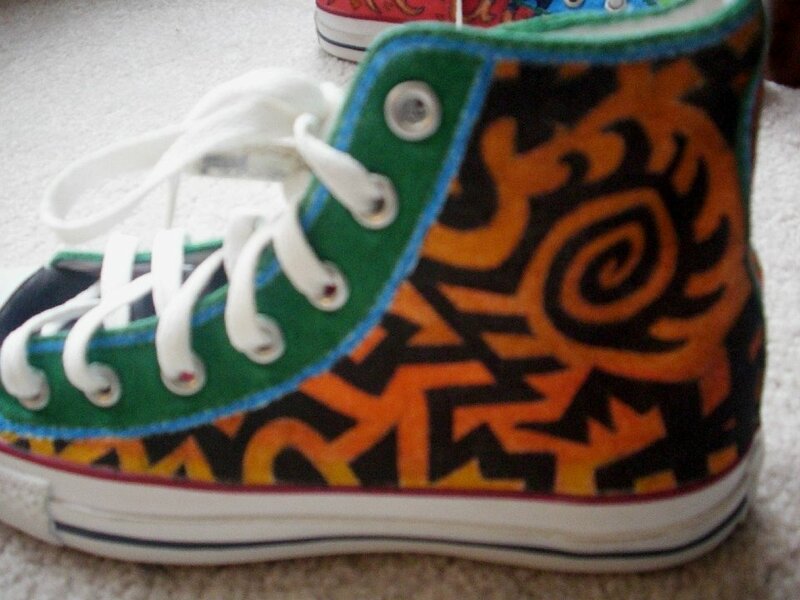 22 Custom Painted High Top Chucks Inside patch view of a graphic design on a left high top chuck. 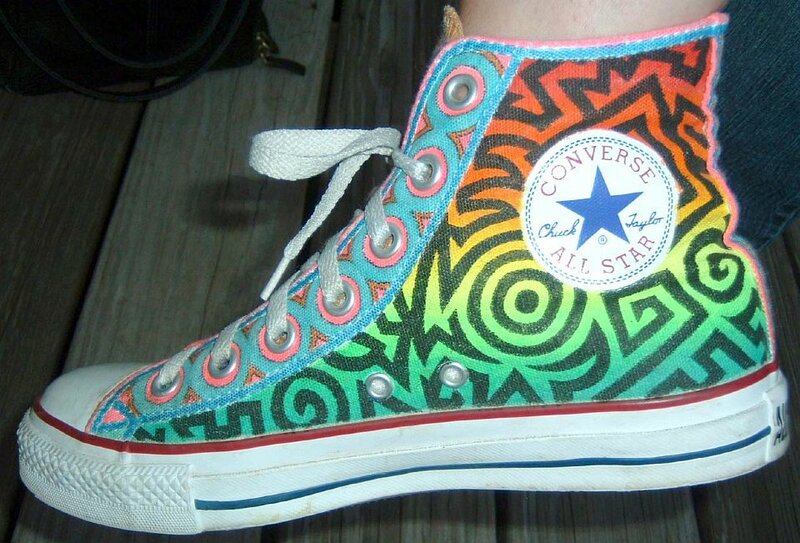 23 Custom Painted High Top Chucks Inside patch view of a Dr. Ray design on a left high top chuck. 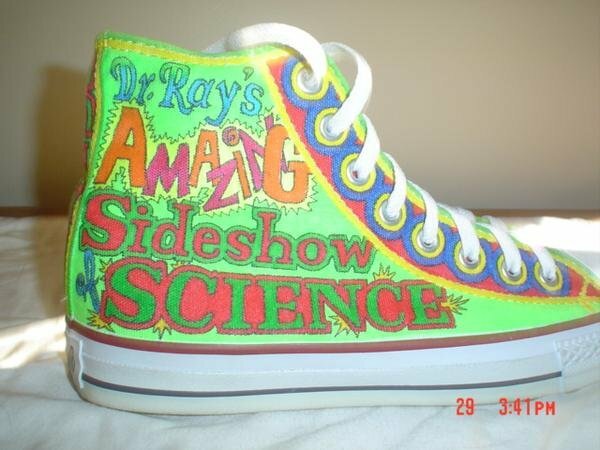 24 Custom Painted High Top Chucks Outside view of a Dr. Ray design on a right high top chuck. 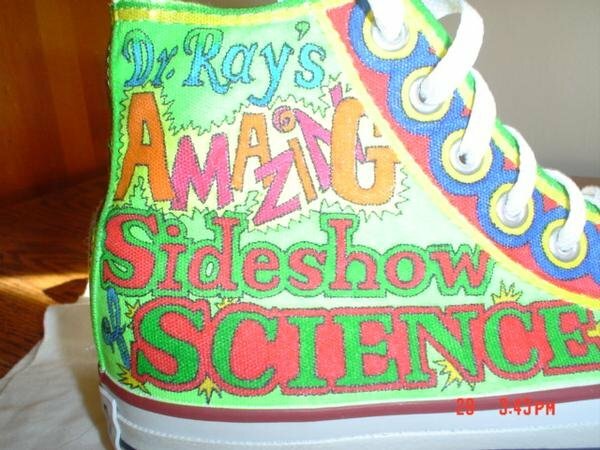 25 Custom Painted High Top Chucks Inside patch view of a Dr. Ray design on a right high top chuck. 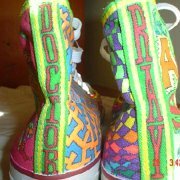 26 Custom Painted High Top Chucks Rear view of a Dr. Ray design on a pair of high top chucks. 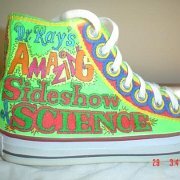 27 Custom Painted High Top Chucks Outside view of a Dr. Ray design on a right high top chuck. 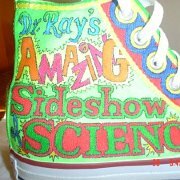 28 Custom Painted High Top Chucks Partial top and rear views of a Dr. Ray design. 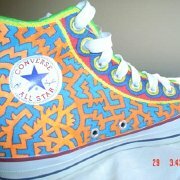 29 Custom Painted High Top Chucks Inside patch view of a left Dr. Ray design high top chuck. 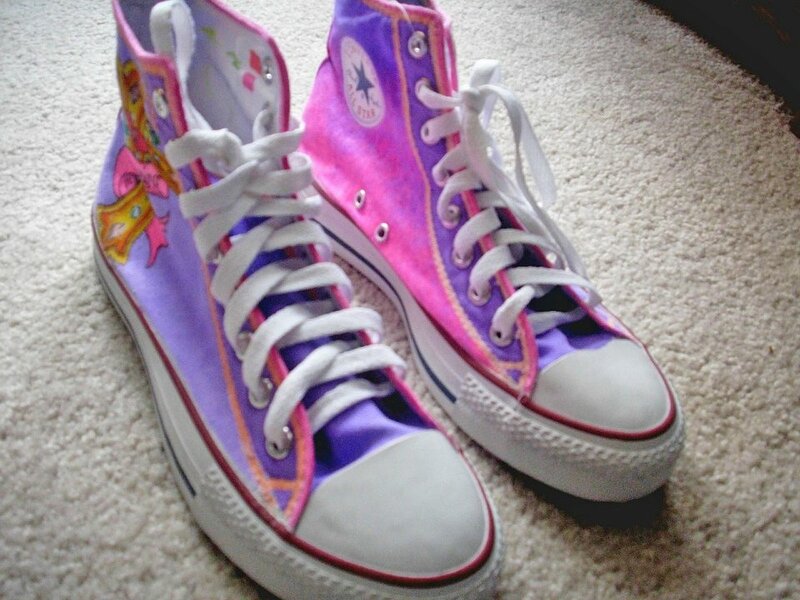 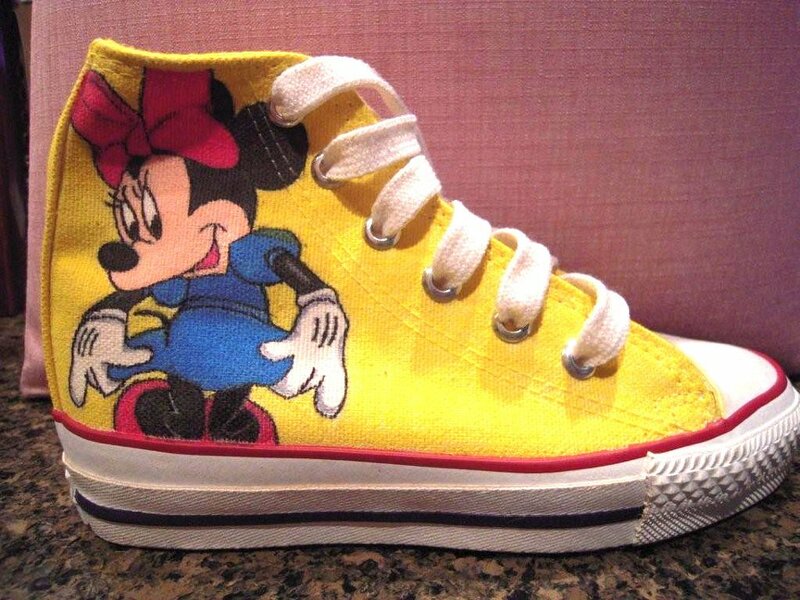 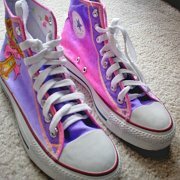 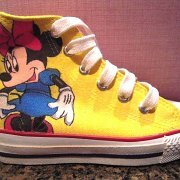 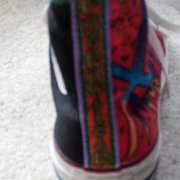 30 Custom Painted High Top Chucks Outside view of a left Minnie Mouse sneaker. 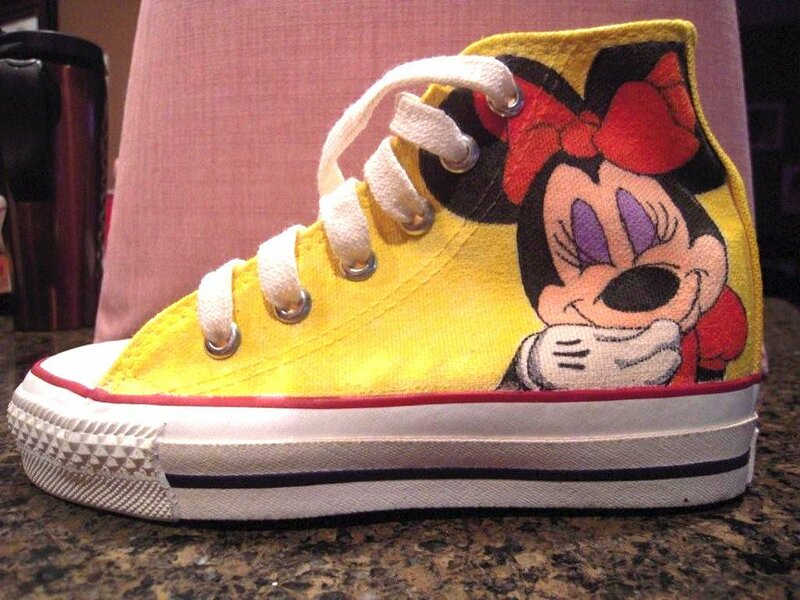 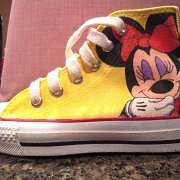 31 Custom Painted High Top Chucks Outside view of a right Minnie Mouse sneaker. 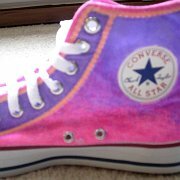 32 Custom Painted High Top Chucks Angled top view of high top chucks for Starr. 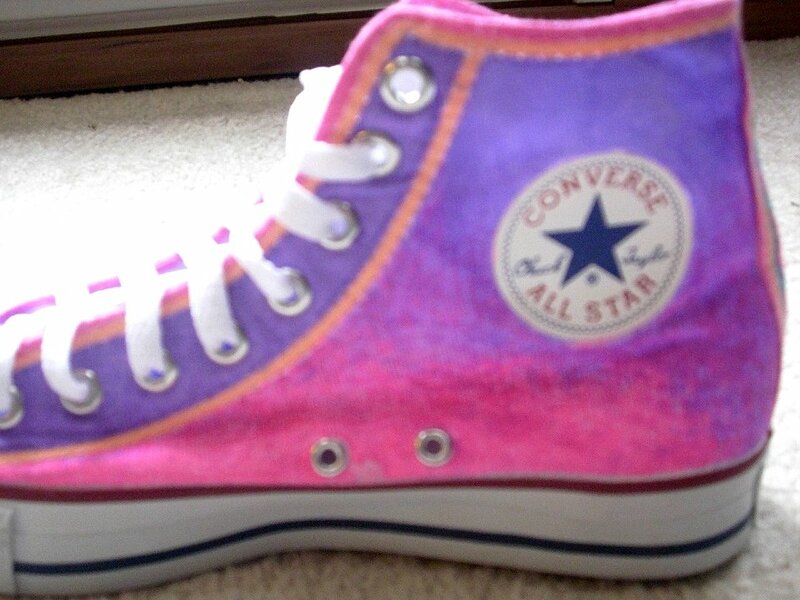 33 Custom Painted High Top Chucks Rear view of high top chucks for Starr. 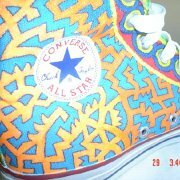 34 Custom Painted High Top Chucks Outside view of a right high top chuck for Starr. 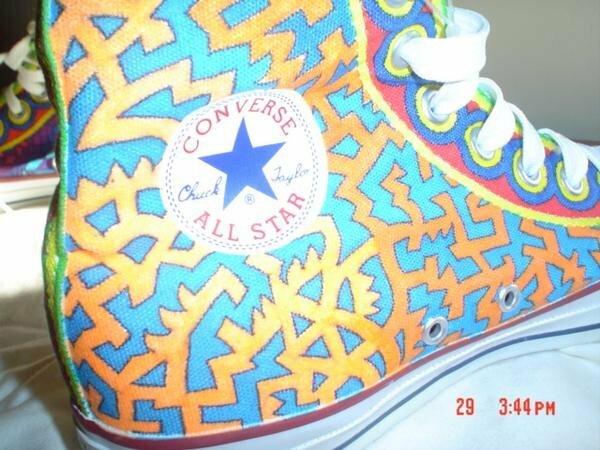 35 Custom Painted High Top Chucks Inside patch view of a right high top chuck for Starr. 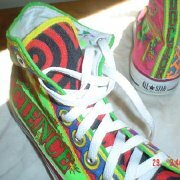 36 Custom Painted High Top Chucks Outside view of a left high top chuck for Starr. 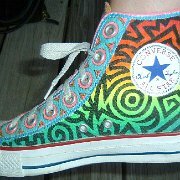 37 Custom Painted High Top Chucks Front view of high top chucks for Starr. 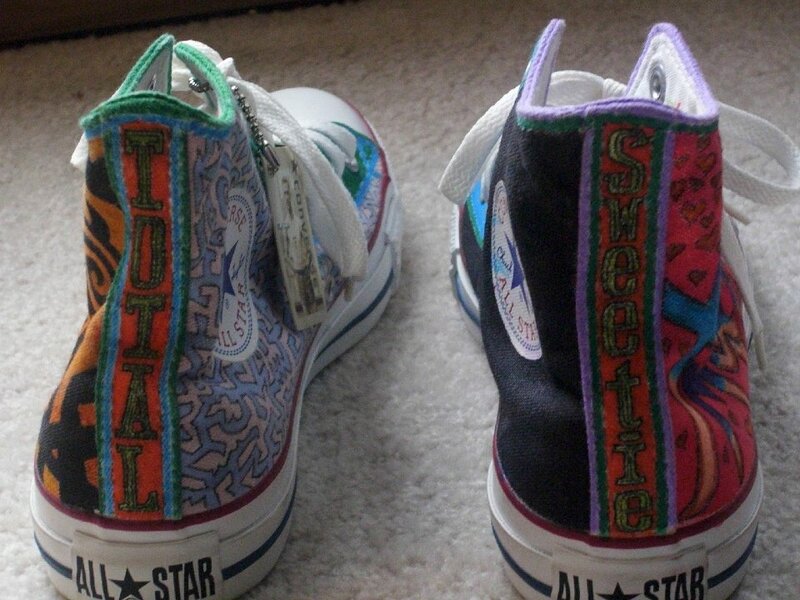 38 Custom Painted High Top Chucks Ryan wearing his custom chucks, right inside patch and left outside views. 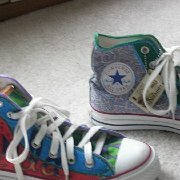 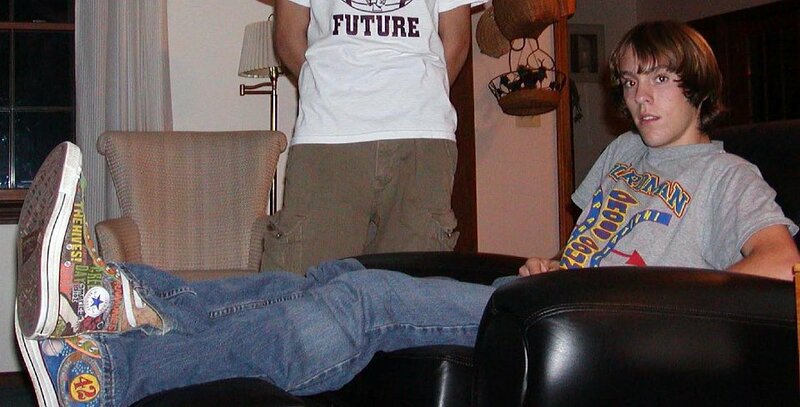 39 Custom Painted High Top Chucks Ryan wearing his custom painted chucks, right inside patch and left outside views. 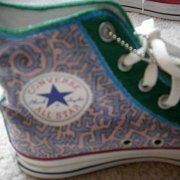 40 Custom Painted High Top Chucks Closeups of Ryan's custom painted high tops. 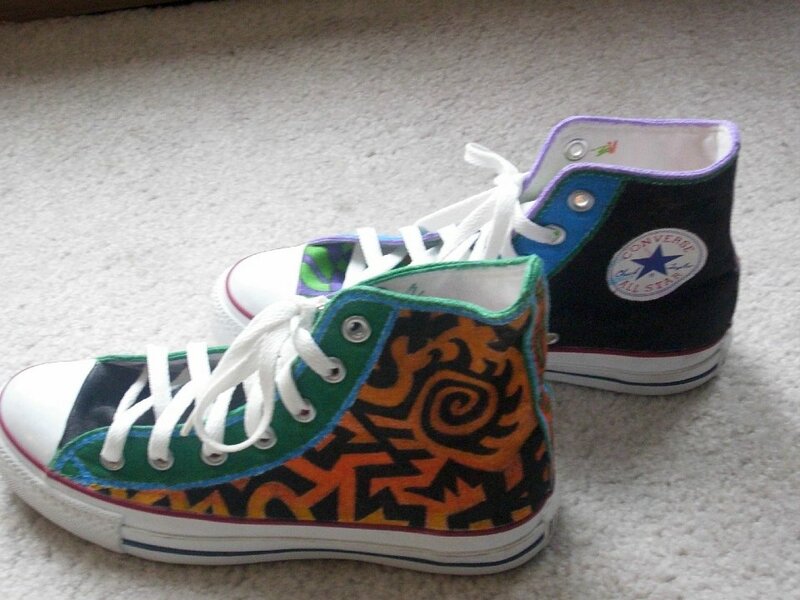 41 Custom Painted High Top Chucks Ryan's left high top front view, showing graphic and "west fall" lettering. 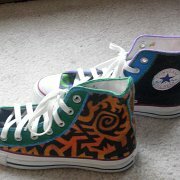 42 Custom Painted High Top Chucks Ryan's left high top, inside patch view, showing maroon and orange graphic pattern. 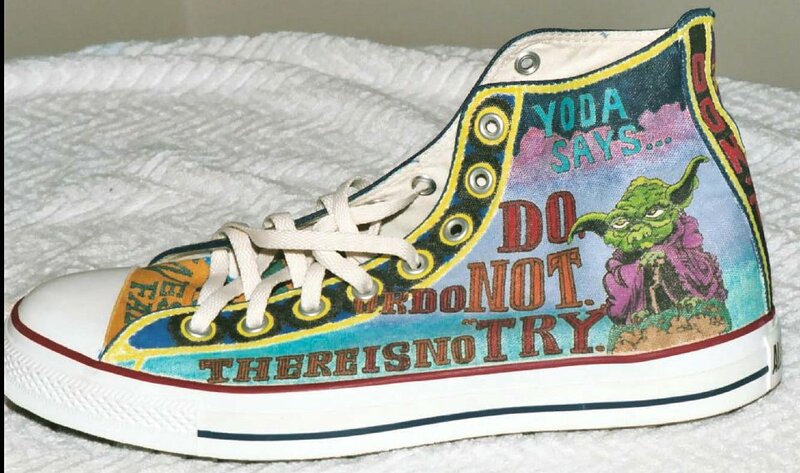 43 Custom Painted High Top Chucks Ryan's left high top, outside view, showing Yoda and quotes from Star Wars. 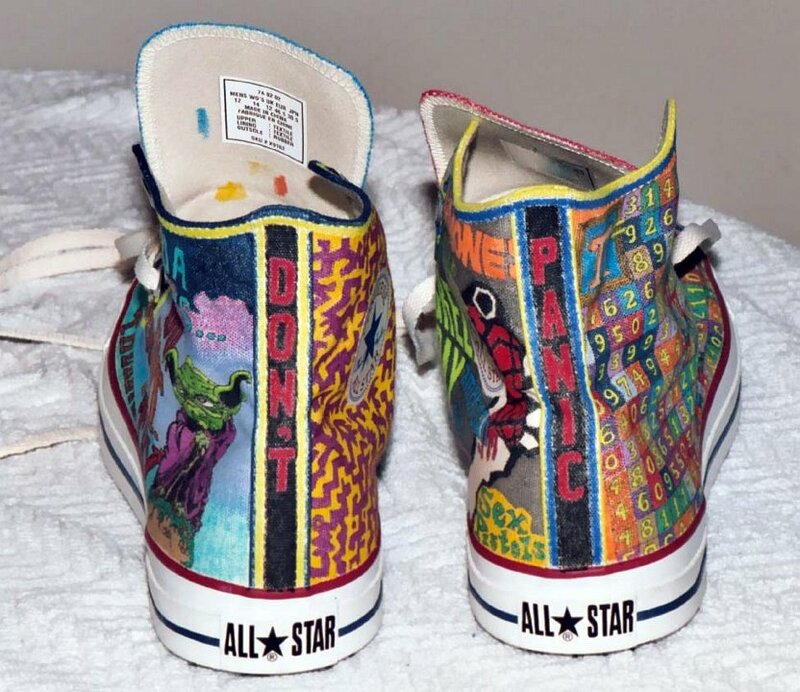 44 Custom Painted High Top Chucks Rear view of Ryan 's high tops, showing "Don't Panic" and portions of each side. 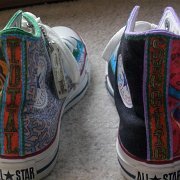 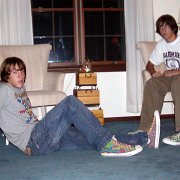 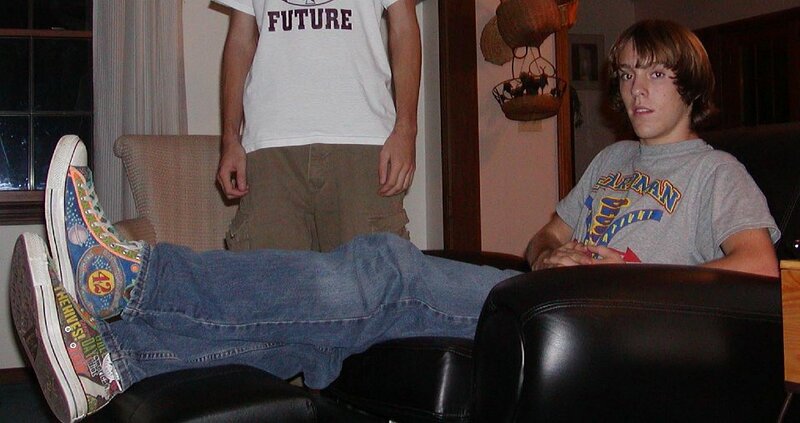 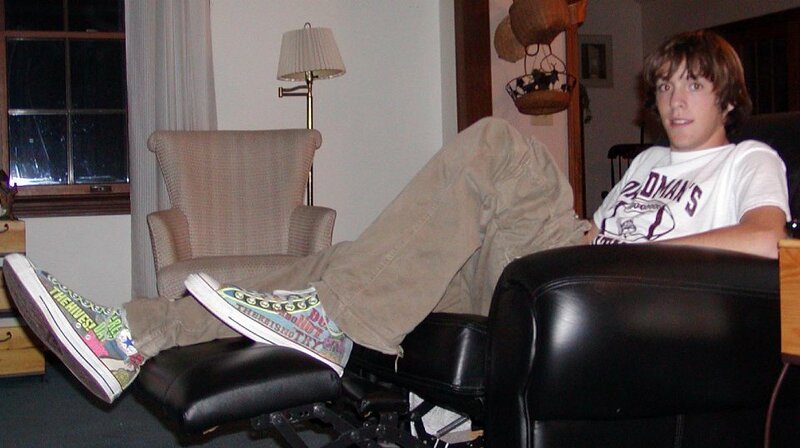 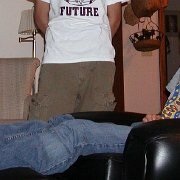 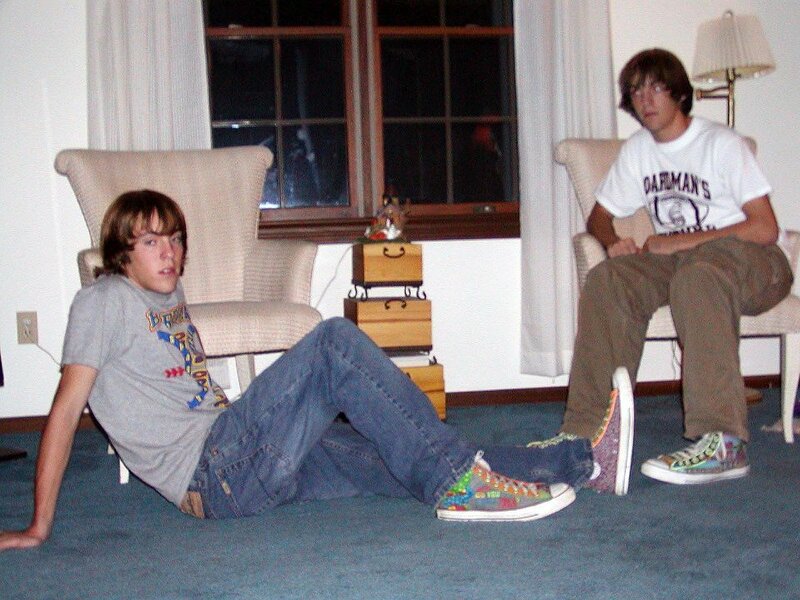 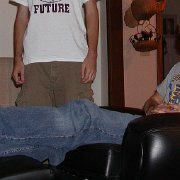 45 Custom Painted High Top Chucks Seth wearing his custom painted chucks, left outside and right inside patch views. 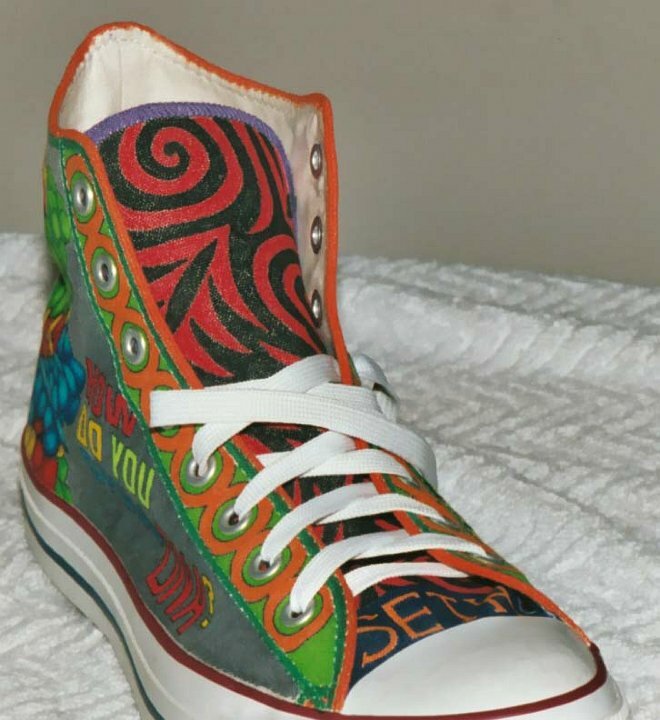 46 Custom Painted High Top Chucks Seth wearing his custom painted chucks, right inside patch and left outside views. 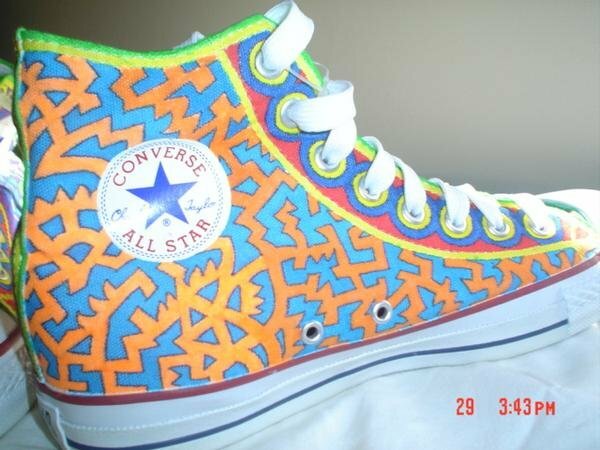 47 Custom Painted High Top Chucks Seth and Ryan wearing their custom painted high tops, view 2. 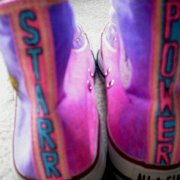 48 Custom Painted High Top Chucks Closeups of Seth's custom painted high top chucks. 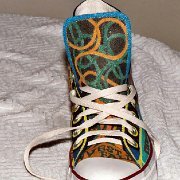 49 Custom Painted High Top Chucks Angled front view of Seth's left high top. 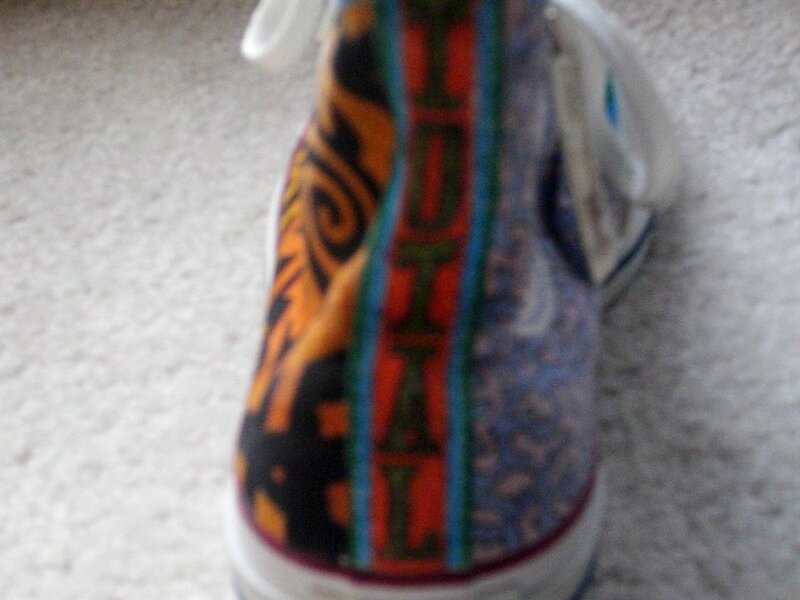 50 Custom Painted High Top Chucks Inside patch view of Seth's left high top, showing a maroon and grey graphic pattern. 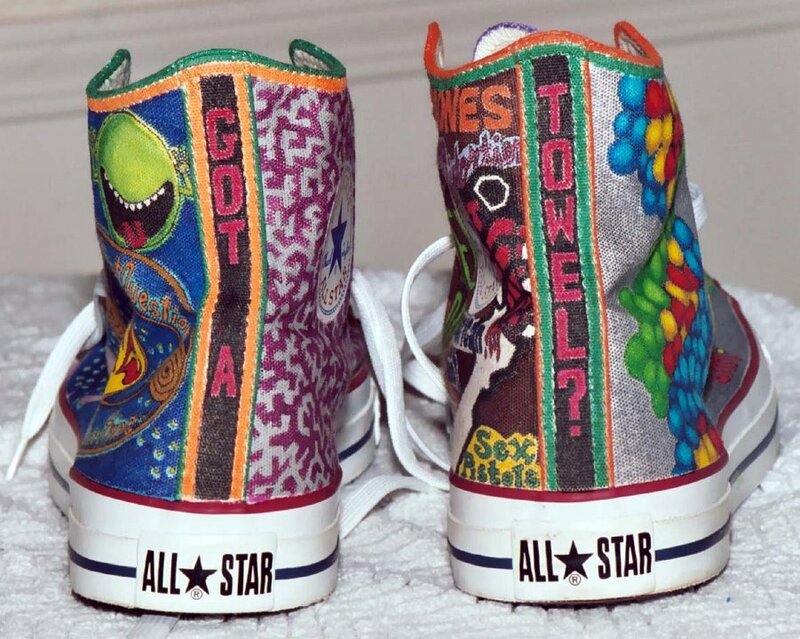 51 Custom Painted High Top Chucks Rear view of Seth's high tops showing "Got a Towel?" 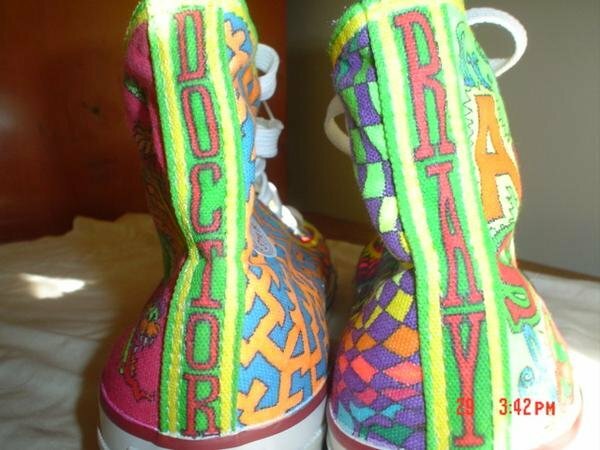 lettering and partial views of the sides. 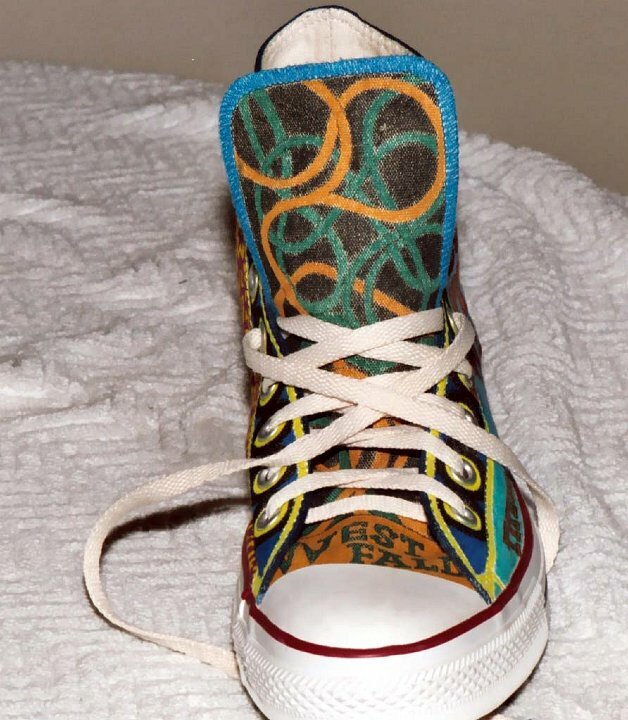 52 Custom Painted High Top Chucks Angled front view of Seth's right high top. 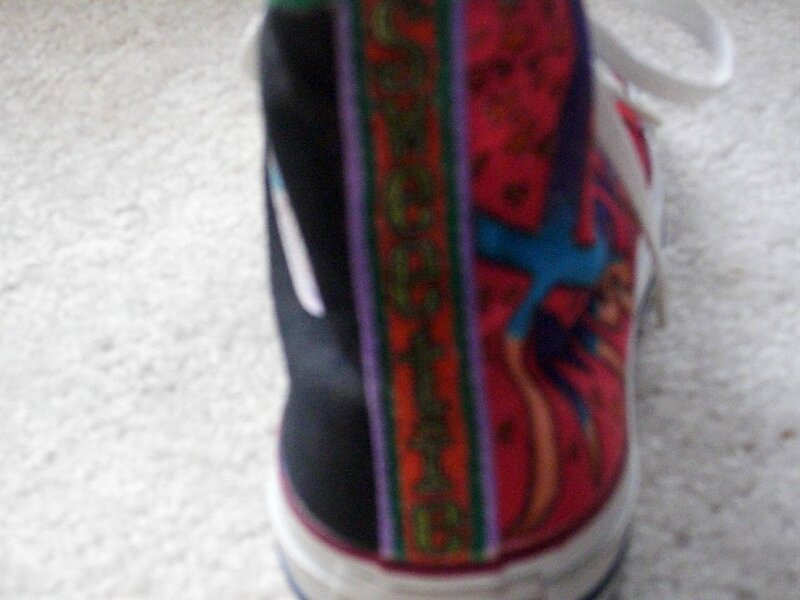 53 Custom Painted High Top Chucks Inside patch view of Seth's right high top showing his favorite bands. 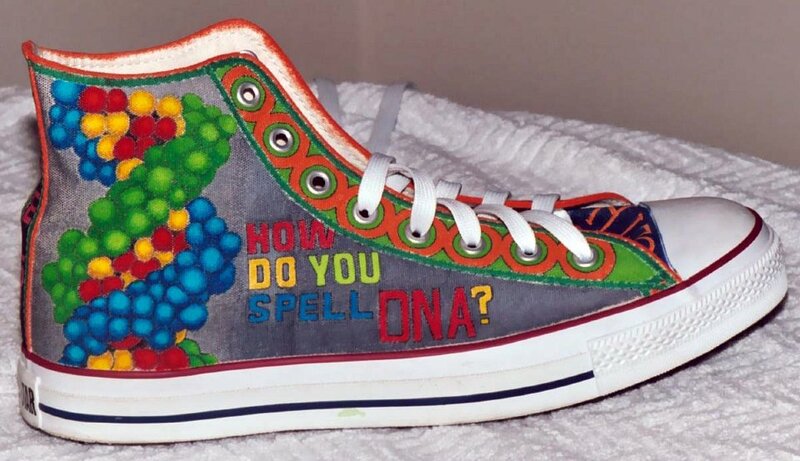 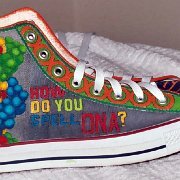 54 Custom Painted High Top Chucks Outside view of Seth's right high top showing a DNA helix.